Please discuss the positive aspects of dentistry with your child. One way to convey good feelings to your child about dental visits is to remind them that going to the dentist is a sign that they are “growing up.” You can explain that Dr. Roberts will count their teeth, as well as take pictures of his/her teeth. Please do not tell your child that the “dentist will not hurt” as this may never have entered his/her mind. 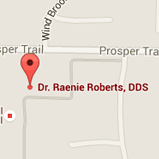 Instead, you may wish to assure your child that Dr. Roberts will be gentle and friendly. Also, please avoid using words needle, shot, pull, or any other words suggesting unpleasantness. Expect your child to do well and enjoy their visit to our office and chances are he/she will do exactly that! Our staff will review the health history form with you at the first visit. 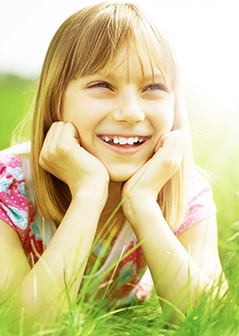 You and your child will be introduced to our dental team and invited to tour the office. Dr. Roberts will perform a head and neck examination and then evaluate the health of the teeth, gums and your child’s bite. Dental radiographs are taken only as Dr. Roberts feels necessary. Additional services will be scheduled for a later visit.